A good start to the year for our wines! 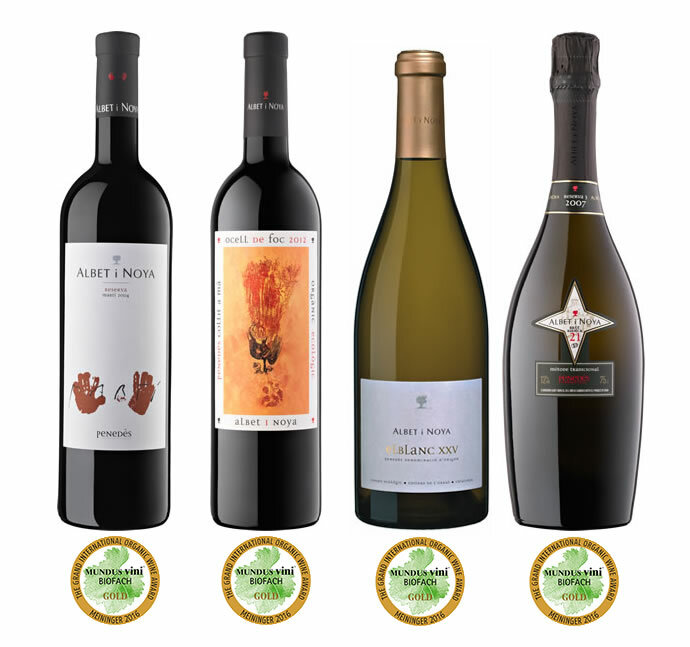 Once again they have been acknowledged with medals at international competitions, after the Gold medal awarded to Reserva Martí red wine in the French competition, Millésime Bio 2016, held a couple of weeks ago in Montpellier. This time it has been at the German ecological wine competition, Mundus Vini Biofach 2016, where several of our wines have been awarded with Gold medals. Specifically, the four wines that the cellar presented at the competition have been awarded: Reserva Martí and Ocell de Foc red wines, Blanc XXV white wine and also the sparkling Clàssic Penedès, Brut Barrica 21. In the seventh edition of this competition, wines from 15 different countries have been tasted by a jury made up of 50 viticulture sector experts. In total, 209 wines have been awarded, of which 11 with a Great Gold, 108 with a Gold medal and 90 with a Silver medal. If we compare the results achieved by the cellar in this edition with the one from last year, Ocell de Foc is the wine that repeats the award and, therefore, it has achieved a Gold medal in two consecutive years. The awards are new for El Blanc XXV white wine and for Clàssic Penedès Brut Barrica 21, as they had taken part in previous editions but without having been awarded any medals. These results confirm Sant Pau d’Ordal cellar as the only Catalan cellar, and from the rest of the Spain, to achieve four Gold medals in this competition, a difficult target to reach bearing in mind the number of cellars that decide to present their references in the competition. So, overjoyed about all these acknowledgements!